If Yala National Park is the place to spot leopards in Sri Lanka, then Wasgamuwa National Park is the best for spotting elephants. Situated in the districts of Polonnaruwa and Matale, Wasgamuwa boasts over 35,000 hectares of protected land and is uniquely surrounded by river systems. The northern length of the park is bordered by the Amban Ganga river, while the western side is bordered by the Dunuwila Oya and the east, by the longest river in Sri Lanka, the Mahaweli Ganga. 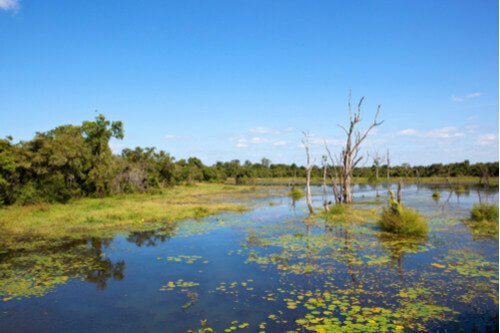 Due to its remote location, Wasgamuwa National Park is not nearly as popular as other safari destinations around Sri Lanka. This translates to less traffic inside the park and therefore less competition to see animals than in places like Yala National Park. It also means that the animals — in particular, the elephants — aren’t as accustomed to the presence of safari jeeps. Unlike in more crowded parks, the wildlife in Wasgamuwa is untamed, allowing visitors to witness authentic wild behaviour. The Wasgamuwa National Park is home to 23 species of mammals, 143 birds and 17 types of reptiles. 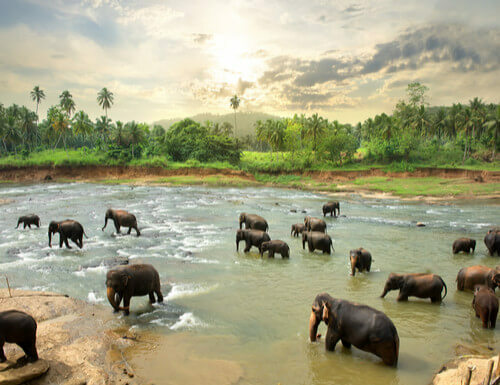 A safari through the lush plains is the best way to encounter these and other inhabitants, the most famous (and most precious) Sri Lankan sloth bears, and the Sri Lankan subspecies of Asian elephants. 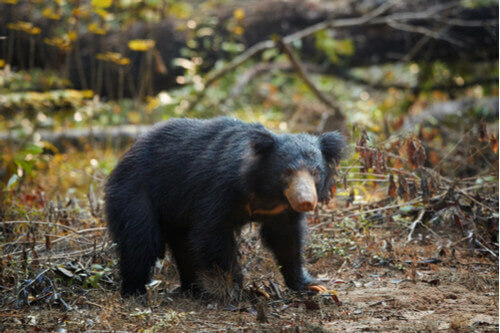 It’s believed that there are only 1000 sloth bears left in the world. and as few as 500 remaining in the wild, so spotting one of these fuzzy creatures is rare but entirely possible. The elephants, on the other hand, roam the park in abundance and migrate to several other neighbouring areas. Watching a majestic wild herd of elephants as they meander across grassy parklands should be on the bucket list for all animal lovers. In addition to its importance as a wildlife reserve, Wasgamuwa National Park has an interesting history. It is believed that the mighty battle between ancient Sinhalese Kings Dutugemunu and Elara took place in the area known as Yudanganapitiya inside the park, over 2000 years ago. Ancient ruins throughout Wasgamuwa such as stone pillars can be traced back to Sinhalese kingdoms and are testament to its significance in Sri Lankan history.